You’ve probably heard people doing it. 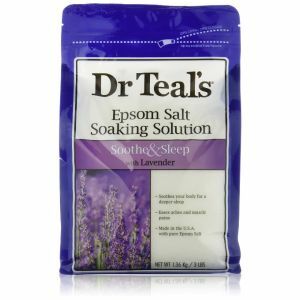 But what are the benefits of soaking feet in Epsom salt? Do they really work? Or are you just wasting your time and money? If you’ve read some of the natural remedies around, you’ve probably bumped into Epsom salts in some of them. These salts, unlike the regular table salt we often use to flavor our food has been valued for the health benefits that they offer. It is for this reason that they are used in various ways. One of these is soaking your tired feet at the end of the day in foot bath that’s been mixed with these salts. Epsom salt is a mineral that is commonly used in health products. There are a number of benefits that it can bring when it is added to your foot soak. And we describe these below. For the best results, you should soak your feet using Epsom salts for at least forty minutes, three or four times a week. This way, you give them enough exposure to get the health benefits they offer. The reason that it takes some time is because they are absorbed through our skin, which isn’t totally porous. So, you are able to get it in slowly. Epsom salt is a good source of magnesium. And soaking your feet in a foot bath that’s been mixed with these salts allow it to be absorbed through the skin. Magnesium is a mineral that most people are deficient in. The reason for this is because we don’t eat enough of it in our diets. However, magnesium is very important as it affects most of our body’s mechanisms. Absorbing the magnesium through your skin has been shown to bring the same benefits as if it was consumed in your diet. Plus, we seem to be able to absorb it better through skin than through food. Having higher levels of magnesium has been linked to increasing the amount of serotonin that our body produces. This is a chemical that can increase feelings of happiness and reduce feelings of anxiety. There are also many benefits that Epsom salt has for your cardiovascular system. It improves your circulation. And, at the same time also increases the elasticity of your arteries. The latter is important because this makes it easier for your blood to work its way around your cardiovascular system. When blood is able to flow unobstructed around your body, you are less likely to suffer from any serious health conditions such as blood clots and heart disease. To increase these benefits you may want to try adding some Epsom salt to your bath tub. This is probably the fastest way to combat any magnesium deficiency should you be experiencing it. But, you can also receive these same benefits from a regular foot soak. Soaking in Epsom salts is a natural remedy that has been shown to get rid of foot and toe fungus as well as odors. It’s simple. And, you can do it while watching TV or working on your laptop at home. Bacteria does not thrive in a salty environment. And putting your body in this condition can help with removing any fungus on your foot or nails. Bacteria can also be a source of foot odor and so an Epsom salt foot soak can also help with this. Salt water is also good at removing dead skin on your feet. And, if you apply a moisturizer to your feet after the soak, then this can help to keep the skin on your feet soft and supple. This can be a real boost to your confidence during the summer months as you will be able to wear sandals and other shoes that show off your feet without worrying about what your feet look like. 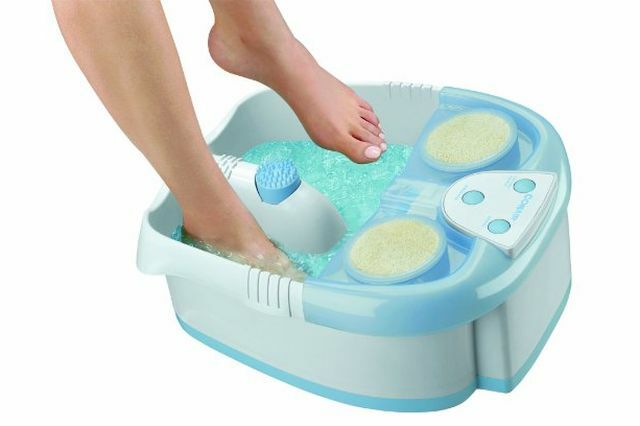 Many people report that they feel much more relaxed after they have had an Epsom salt foot soak. If you are soaking your feet during the evening, you may find it easier to drift off to sleep. Plus, you’ll often also find that you get a better night’s sleep. 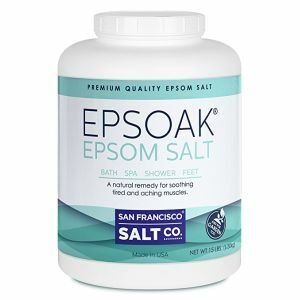 If you find that you have been suffering from stress and anxiety lately, then taking regular foot soaks with Epsom salt can improve your overall feeling of well-being. This is likely to be because of the increase in magnesium in your body. But, it can also be because it gives you time for yourself and you can let your mind switch off from stressful situations that may be happening in your life.